Oracle direct NFS or dNFS introduced in Oracle 11gR2 allows the NFS operations to be moved to the database layer instead of operating system kernel. After installing Oracle RAC 12.1.0.1 it appears the direct NFS is enabled by default. You can check the alert log to verify that the direct NFS ODM library has been loaded. Messages similar to the following will be displayed. Direct NFS may use several configuration files to determine the mount points on which it is used. If oranfstab is not configured then it will check the currently mounted filesystems from /etc/mtab and if the mount options are correct it will use dNFS for database I/O. My OEM environment consists of two management servers (OMS) for high availability (level 3 HA). We also have a SLB configured for the OMSs but they haven't been configured with the SLB virtual hostname. I know, this sounds very confusing but there's a difference. 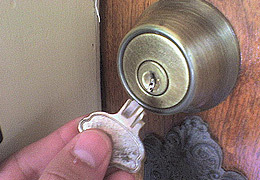 Essentially they act as individual OMSs since agents can only upload to one OMS and console is pointed to a single OMS. The load balancer is a F5 BIG-IP and all the configuration setting were done for using OEM. This whitepaper clearly describes how to do this. The annual Oracle OpenWorld global technology conference being held in San Francisco, CA is almost upon us. It kicks off September 22 with user group symposiums and runs until September 26. I was lucky enough to be chosen as speaker again this year. I say lucky because I believe there are much better speakers with more interesting topics that should've been accepted over mine. Whatever the reason, I'm happy and I'm looking forward to meeting up with old friends and networking with some of the best technologists and speakers in the world. I will be participating in quite a few activities - mostly on Sunday. Here a few sessions that I'm scheduled to either present or be a panelist in. The information technology industry has been a tremendous growth in Cloud delivery models for IT services in the past couple of years. More recently, the PaaS service model including Database-as-as-Service (DBaaS) has been gaining traction rapidly. Amazon's RDS public DBaaaS service supports Oracle, MySQL and SQL Server and enable rapid development lifecycles by giving end-users the ability to provision databases on demand in a very short period. In previous versions of Oracle Enterprise Manager you would call the EMD_MAINTENANCE package to execute certain maintenance tasks such as partition maintenance and statistics gathering. Note that these procedures are automatically run through scheduled jobs once the job_queueue_ processes parameter is set to a value greater than 0.
mount -t nfs -o ro abc.oracle.com:/scratch/masterAgent /scratch/sharedAgent Since I use a NAS for serving NFS shares in my environment I replaced the master_agent_host_name with the name of the filer and the exported volume. 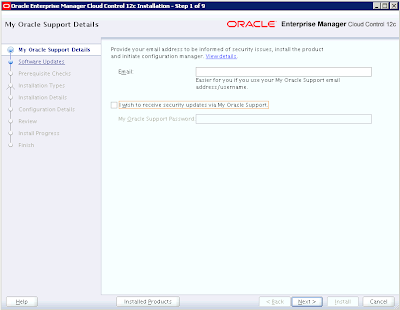 Oracle Enterprise Manager Cloud Control 12c introduced several ways to deploy agents to hosts. The Oracle Management Agents are responsible for gathering metrics from targets such as database instances, listeners and the host themselves and sending them to the Oracle Management repository and Server for further processing. It also interacts with targets by executing commands sent via the OMS Console and the EM Command Line Interface (EMCLI). The third release of Oracle Enterprise Manager Cloud Control is now available. It includes numerous enhancements such as updated user interface, improved EMCLI with scripting options, Administration Group enhancements, OMS Disaster improvements among others. For the complete list see the New Features page. For users still running on pre-12c or 12.1.0.1, it is a highly recommended upgrade. If you are running EM 12.1.0.2 you may see some benefits of upgrading but I personally wouldn't rush off unless there were some compelling features/fixes that would be of benefit. That said, if you do decide on going full speed with the new release, here is a step-by-step document on how I upgraded a POC environment with a single OMS and repository on the same server from 12.1.0.2 with PSU3 to 12.1.0.3. The official Oracle documentation lists the detailed steps for the upgrade here. Last week I attended my very first Kscope event in New Orleans. Kscope is an annual ODTUG event originally geared towards Oracle database development but has expanded to include other areas such ADF, Essbase, EPM, BI etc. I was accepted as a speaker to present in the "The Developer's Toolbox" category where I presented on "SQL Developer for DBAs". Honestly, I had high expectations going to Kscope. I remember seeing tweets from users on last year's conference and felt a bit left out based on the buzz from some of the attendees. Fortunately, the conference lived up to the expectations. It was well organized and the events flowed without a hitch. It wasn't as crowded as other user conferences I've attended such as OpenWorld or Collaborate - which is a good thing. The smaller size makes it more intimate and easier for attendees to network with each other. I met up with colleagues from past events as well as met new ones within my social media network. The 20th anniversary of the Collaborate IOUG Forum will be held this year in Denver Colorado from April 7 to 11. This will be my second year attending and presenting at Collaborate. I am really looking forward to networking with peers and friends - especially those in my social media community who I interact with on a daily basis. This year I will be particularly busy with presenting two sessions and doing hosting duties for a couple of RAC SIG sessions. You can catch me at one of the sessions below.